Biography: Dr. Kshitij Shinghal obtained his bachelor’s degree (B.E) in Electronics and Communication engineering, master’s degree (M.Tech.) in Digital Communication and doctorate (Ph.D) in wireless sensor networks with the School of Electronics and Communication Engineering from Shobhit University. He is currently working as an Associate Professor with 17 years of experience in teaching and research. His research areas of interest include Embedded Systems, VLSI Design, Wireless Sensor Networks, and Ad-Hoc Networks. He has published 60 research articles in International Journals and Conference Proceedings. He is currently a lifetime member of 07 International Societies. He is an editorial board member, advisory board member and reviewer of more than 20 International Journals both Scopus and ISI Indexed. He is the Chief Editor of MIT International Journal of Electronics and Communication (MITIJEC). He has been the invited speaker to many organizations to give special lectures. He is an elected fellow member FIAET. He has reviewed more than 100 research articles for leading International Journals. 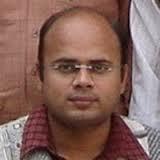 He has attained Google scholar citations-132 and h-index-05. He has written two books (Switching Theory and Logic Design ISBN 935140224X & Network & Systems ISBN 8183981186) for engineering students. He is a Best Reviewer Award Winner from International Journal of Recent Trends in Electrical and Electronics Engineering in 2016.